When attempting to stop Smart Meters in local communities, members of the public have often found the Chamber of Commerce promoting Smart Meters and representing the utility companies. This memo, written in 1971 by Lewis Powell, an influential member of the corporate legal community, called on the U.S. Chamber of Commerce to take a more active and aggressive role in the country in promoting their voice. In it, he detailed the many avenues of influence the Chamber could take in asserting their influence. 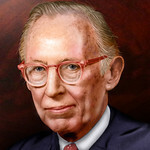 Lewis Powell became Associate Justice on the Supreme Court the following year, serving on the Supreme Court from 1972 – 1987. On August 23, 1971, prior to accepting President Nixon’s request to become an Associate Justice of the Supreme Court, Powell sent the “Confidential Memorandum” titled “Attack on the American Free Enterprise System.” He argued, “The most disquieting voices joining the chorus of criticism came from perfectly respectable elements of society: from the college campus, the pulpit, the media, the intellectual and literary journals, the arts and sciences, and from politicians.” In the memorandum, Powell advocated “constant surveillance” of textbook and television content, as well as a purge of left-wing elements. He named consumer advocate Ralph Nader as the chief antagonist of American business. This memo foreshadowed a number of Powell’s court opinions, especially First National Bank of Boston v. Bellotti, which shifted the direction of First Amendment law by declaring that corporate financial influence of elections through independent expenditures should be protected with the same vigor as individual political speech. Much of the future Court opinion in Citizens United v. Federal Election Commission relied on the same arguments raised in Bellotti. Should not the Chamber also request specific courses dealing with in such schools the entire scope of the problem addressed by this memorandum? This is now essential training for the executives of the future. This entry was posted in Uncategorized and tagged business community, capitalism, Chamber of Commerce, college campuses, Lewis Powell, news media, Powell memo, Ralph Nader, U.S. Chamber of Commerce. Bookmark the permalink.